I enjoy speaking on various aspects of music, sound and atomic culture. A speaker at salons such as The Last Tuesday Society, Dorkbot London and David Bramwell’s Catalyst Club (and Odditorium), I’ve also appeared at The South Bank Centre (Purcell Room), Off the Page, curated by The Wire and NyMusikk, Unsound, Krakow, Prima Vista, Tartu, the Science Museum, the Edinburgh Secret Society, Hack Circus (Interesting 11), DConstruct, Dx Brighton, the Fortean Times Unconvention, the Green Man Festival, Fear and Loathing in Newcastle, Wuthering Bytes, The British Science Festival and many other venues. My talk on the use of birds as primordial, feathered sound recorders was taken on by BBC Radio 4 and turned into the documentary The Bird Fancyer’s Delight. My talk for Off the Page became the inspiration for Echo in a Bottle which airs on BBC Radio 4 on 10 June 2018. 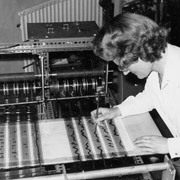 A talk about the life and work of Daphne Oram, composer, inventor and co-founder of the Radiophonic workshop. The life and times of Muriel Howorth – an independent scientist and techno-utopian in Eastbourne who wanted to solve world hunger by growing giant mutant vegetables from ‘atom blasted’ seeds. To test her theories she set up the Atomic Gardening Society where volunteers around the UK would plant irradiated seeds posted by Howorth. Every participant was seeking the golden mutat that would grow to an enormous size. A pioneer of citizen science and crowd-sourced research, Howorth was also a composer who expressed her dreams in her ‘atomic ballet’: Isotopia. “…the most sensational plant in Britain – like a thing from outerspace”. 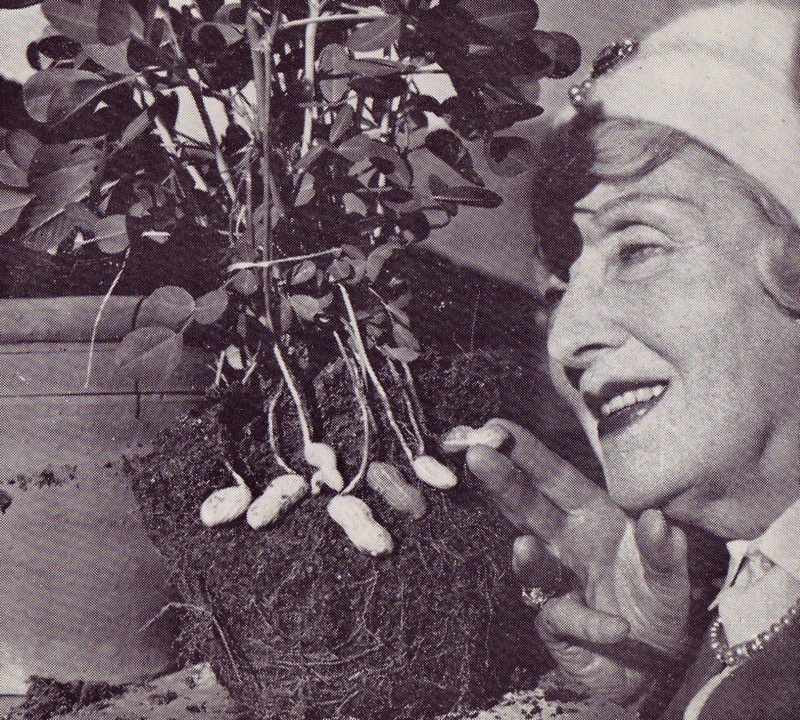 Muriel Howorth with her ‘atomic peanuts’. 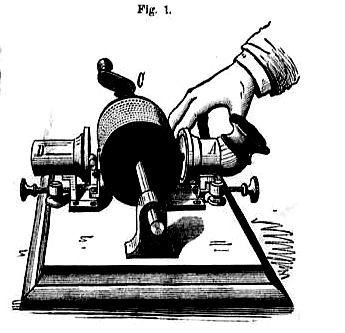 In this talk and live demonstration, I explore some of the stranger obsessions of the early adopters of recorded sound, as I immortalise a voice from the audience by recording it on wax, using an original Edison Standard Phonograph. When he first saw the phonograph demonstrated in December 1877, a journalist writing in Scientific American noted there was a now ‘a startling possibility of the voices of the dead being reheard’. Radios, phonographs and gramophones are transmitters of disembodied voices, a feat that seemed so remarkable to the first users, it inspired some unlikely alliances between scientists and diviners of the spirit world. This event includes tales of ventriloquism, fake psychics, memento mori, the 1920s fashion for ‘ghost radio’ and aerial parties. I’ll perform some live ‘aether music’ on the theremin and play genuine voices from the grave: message records posted by soldiers who were lost in battle in the Second World War. We all know we can train budgies to talk – but here, I talk about the extraordinary fashion in the 18th and 19th centuries to train birds to sing popular music on command. Bullfinches, linnets, canaries and other songbirds were taught popular tunes as well as songs written specially for birds. Once trained, these songsters were used as primordial, feathered music machines, delivering music in people’s homes, 100 years before the arrival of the phonograph and the advent of recorded sound. 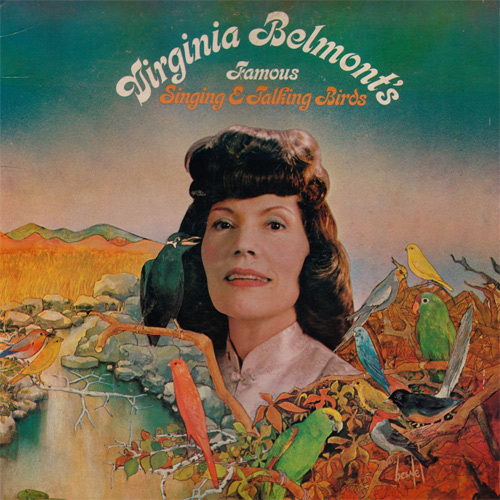 I’ll talk about this curiosity from the archives as I play some extraordinary examples of trained birds, including bullfinches that can sing German folksongs and champion talking budgie Sparkie Williams, a bird who could recite 500 words and phrases. (This became the basis for my documentary ‘The Bird Fancyer’s Delight’ produced by Neil McCarthy on BBC Radio 4). 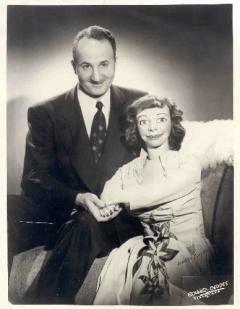 Aided by my uncanny ventriloquial sidekick Hugo, a 1930s doll that was rescued from the attic of a dead magician, I take you on a trip to the uncanny valley – the place where dolls, robots and cartoon characters unsettle us because they seem a little too human. This talk is a feast of uncanny encounters, covering everything from golems and taxidermy experiments to ventriloquists’ dummies. I delve into the science of uncanniness – a hypothesis from roboticist Masahiro Mori that is still open to debate. During the show you are invited to participate in a live experiment where the audience put some claims about uncanniness to the test. This original account of the British experience of The Bomb can be presented as a 20 minute salon talk or an extended show with music, film and robotics. Awarded Most Groundbreaking Act of Brighton Festival and Fringe 2013 – read a review. In the 1980s, when most people lived in fear of Armageddon, a small band of self-styled nuclear survivalists were preparing for it with relish, just like an extended, underground caravanning holiday. They built private shelters and fitted them out as luxuriously as space, budgets and gamma rays would allow. They swapped tips on best food for the ‘three week survival period’ and on ways to beat the queues in the supermarket if there was an escalating threat of nuclear war. Their magazine of choice was ‘Protect and Survive Monthly’, a periodical which advertised private shelters and ran features on topics that would interest the caring nuclear survivalist: e.g. ‘Will my Pet Survive?’ This talk delves into some rarely seen archives to tell the story of these survivalists. It uncovers the grim truth about Britain’s own preparedness for nuclear attack in the 1980s. During the show, I contrast the distinctly Thatcherite approach of the private shelter brigade to the work of the Royal Observer Corp, a remarkable band of volunteers who planned to leave their families in the event of an attack and staff monitoring stations, keeping us informed of approaching nuclear radiation. The talk includes clips from some rarely seen public information films.